Buccaneers and Swashbucklers offer a romantic view of life on the seven seas. Imagining a free lifestyle of no responsibility or accountability strikes the common chord of harmony with most in the west. Freelance movements and adventure are the actions of dreams and vision…giving opportunity for expressing oneself without answering to anyone or anything. This fairy tale lifestyle is similar to the hotdog attitude expressed by many young believers, including immature church planters. However, upon closer examination, we actually learn the opposite concerning pirates. Their work and lifestyle was not the independent one, as envisioned by those who aspire to copy their romantic pattern of travel. 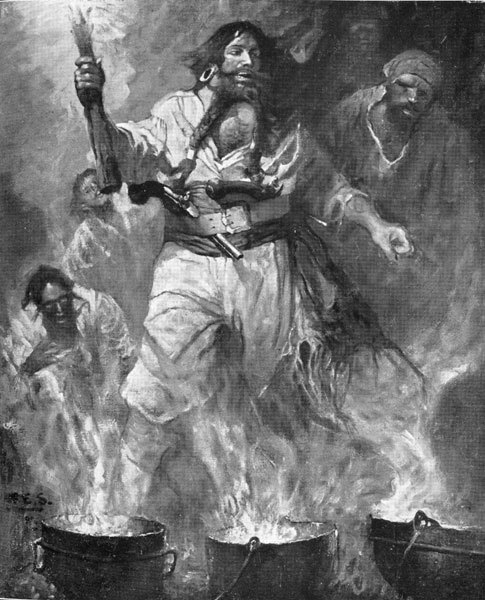 Pirates had several rules which governed their code of conduct. These were essential for maintaining order. Here are nine things we can learn from Pirates! Ready to go where others are afraid to go – The most admirable quality of a pirate. Fearless desire to reach the unreachable areas of the globe! Commitment – Once the ship had left the docks, the members of the crew knew their commitment was for the long haul. Sailing as a team – Team work is mandatory for the successful transportation of the community. Faithfulness in battle – Pirates who sought only their gain were removed from the ship. Obedience to the chain of command – Pirates understood and agreed to the proper chain of command. Must be ready for battle at all times – Pirates who did not stay prepared for battle or business were removed. Desertion was quickly dealt with – Running away was not tolerated among the crew. It brought swift discipline. Secrets were not allowed – Harboring secrets from one another were not allowed among the team. Improper conduct around women not allowed – A surprise for sure, but improper conduct with prudent women was forbidden. Three truths stand out continually as we look at this list from historical pirate documents: fearlessness, teamwork and accountability! So, next time you feel the wind in your sails and you desire to live for adventure as a believer, remember the code of conduct among the pirate ships. Yes, it is true; we can learn a lot from pirates!